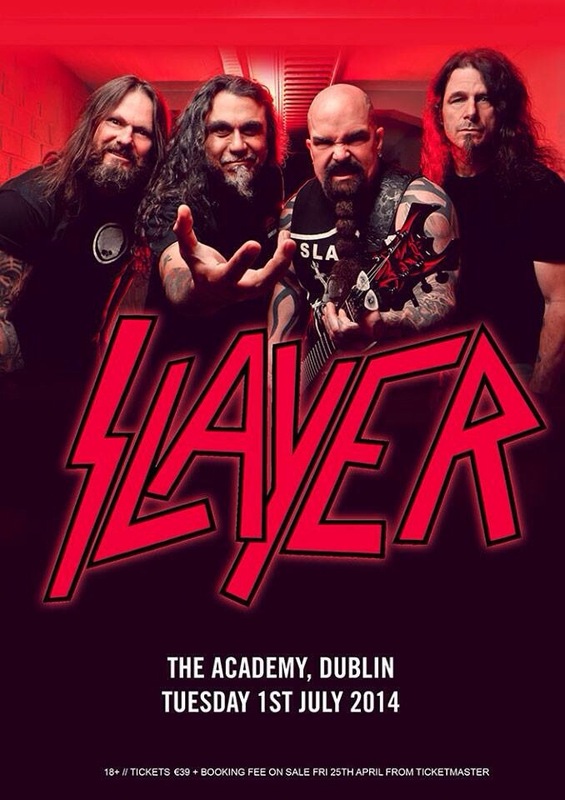 SLAYER ARE COMING! Just over a year since their last visit to the Emerald Isle, the mighty bringers of doom are returning. MCD have announced that the band will play two shows in Belfast on the 29th and 30th of June, before heading South to play Dublin on July 1st. Tickets for all three shows go on sale this Friday. Dublin tickets are priced €39 plus booking fees. This entry was posted on April 21, 2014 at 9:54 am and is filed under Music. You can follow any responses to this entry through the RSS 2.0 feed. You can leave a response, or trackback from your own site.